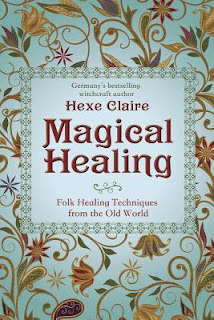 Many people will never even consider picking up this book mainly because of the word Magical in the title. They do not know what they are missing. Stop for a second and think about it. Antibiotics were not created until 1920 and Aspirin in 1899. What did people do before? Well this book will tell you how to use herbs you can grow in your backyard and so much more to take care of colds, coughs, pain, cuts, scrapes, burns and so much more without ever leaving your house. No more huge doctor bills would be a dream come true for most of us. This book is not meant to take the place of your doctor for serious ailments but for the rest you can try the many listed alternatives in this book before paying that huge bill. The book is simple to read no long drawn out explanations, no doctor words I doubt even the doctors themselves fully understand, just simple and to the point. I love how this book gives you a bit of history as well as the techniques and recipes to take care of yourself. This book is a definite reference guide to hang onto as well, so when that next cold, or headache comes along you can be ready for it.